Here at Cheshire Plumbers we’re experts at fitting underfloor heating systems in a variety of environments from commercial properties to homes. Underfloor heating has a wide range of benefits for your home and business, and has now become a common and desirable feature for both new build and renovation projects. One of the biggest benefits is the distribution of heat to keep your toes warmed up! The underfloor heating works by weaving a large amount of high tech plastic pipes under the floors, which heats up and this heat radiates through the flooring. This means the heat is evenly spread throughout the room, rather than just coming from one or two points. Another advantage is that you don’t need unsightly or large radiators to heat the room – instead all of the heating is done below the surface. 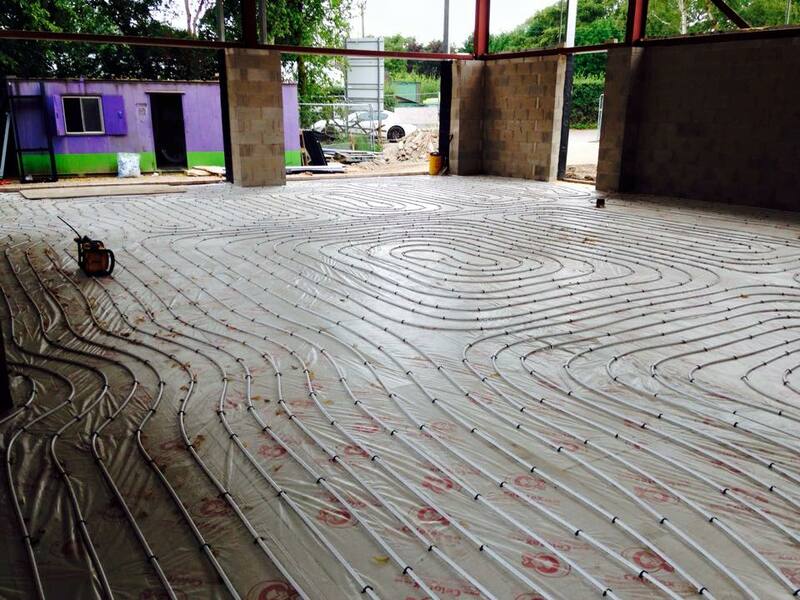 Below is one of our most recent underfloor heating projects, which used over 9km of pipe. Our expertise fitting underfloor heating also makes us incredibly adept at maintaining or fixing the systems, with our underfloor heating leak detection equipment. It’s very rare that underfloor heating should leak, but factors such as the age, how it was fitted and extreme weather conditions can sometimes cause an issue. If this does happen, our team of underfloor heating leak detection specialists can quickly find the leak using techniques such as thermal imaging, to reduce widespread damage. We can then repair the leak and get your underfloor heating back to full working order. If you would like to find out more about our underfloor heating, or underfloor heating leak detection then please get in touch with a member of our expert team who can give you a no obligation quote and answer any questions you may have.